In my last post (Session Fixation & Forms Authentication Token Termination in ASP.NET), I talked about ways to mitigate two types of session related vulnerabilities in an ASP.NET MVC 4 application. One of these vulnerabilities is also present in many WCF web services. In one mode of operation, WCF web services can authenticate users and issue forms authentication cookies. Since this token contains an encrypted set of values and resides only on the client-side, the server cannot choose to invalidated that token and end a user’s authenticated session. This allows attackers to continue using stolen tokens, even after the user logs out. One solution for fixing this vulnerability is to issue an ASP.NET_SessionId cookie and to tightly couple it with the forms authentication cookie as described previously. Whenever a web service request is issued, the ASP.NET_SessionId value should be referenced to determine if the session store contains the username and it matches the value stored by the forms authentication token. This approach is sound; however, my implementation is experimental. I’m not a WCF or ASP.NET expert. Next, I extended the ServiceAuthorizationManager class to provide the capability to validate users’ session and forms authentication cookies for web service calls. It ensures the user has authenticated, and that the identity in the session store matches the identity in the forms authentication token. Finally, in the web.config file, I created two service behaviors. One for unauthenticated access to the login service (anonymousServiceBehavior), and one for authenticated access to all other web services (authenticatedServiceBehavior). Then in the service definition, I applied each of those behaviors using the behaviorConfiguration attribute. The result is that all WCF calls to the IngredientsService and the ShoppingListService require authentication and ensure users forms authentication token is tightly coupled with the ASP.NET_SessionId. ASP.NET applications commonly have one or more vulnerabilities associated with the use of ASP.NET_SessionId cookies and forms authentication cookies. This article briefly discusses those common vulnerabilities and explains one method of mitigating them in an ASP.NET MVC 4 application. Explanation of the exploits are not included, but I linked many of the keywords to OWASP or MSDN articles to provide more details. The security best practices for session cookies and use of sessions in general are provided in the OWASP Session Management Cheat Sheet. ASP.NET_SessionId cookies and forms authentication cookies can be used alone or together to maintain state with a user’s browser. Each cookie works a little bit differently. The ASP.NET_SessionId cookie value is an identifier used to look up session variables stored on the server-side; the cookie itself does not contain any data. The forms authentication cookie, named .ASPXAUTH by default, contains encrypted data, stored only on the client-side. When it is submitted in a request to the server, it is decrypted and used by custom application code to make authorization decisions. There are three common ways to use these cookies that result in risk. First, when the ASP.NET_SessionId cookie is used alone, the application is vulnerable to session fixation attacks. The root cause of this vulnerability is that the ASP.NET_SessionId cookie value isn’t changed or regenerated after users log in (or cross any kind of authentication boundary). In fact, Session IDs are intentionally reused in ASP.NET. If an attacker steals an ASP.NET_SessionId prior to a victim authenticating, then the attacker can use the cookie value to impersonate the victim after he or she logs in. 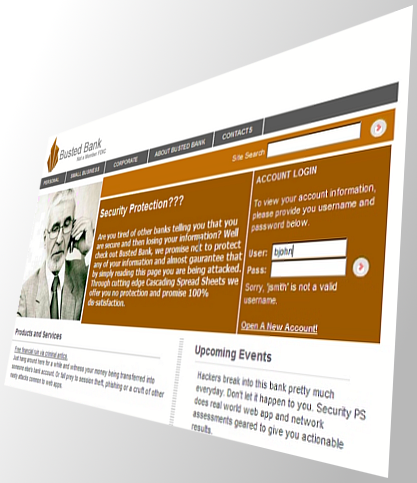 This gives the attacker unauthorized access to the victim’s account. Second, when a forms authentication cookie is used alone, applications give users (and potentially attackers) control over when to end a session. This occurs because the forms authentication ticket is an encrypted set of fields stored only on the client-side. The server can only request that users stop using the value when they log out. The ASP.NET framework does not have a built-in feature to invalidate the cookie on the server-side. That means, clients (or attackers) can continue using a forms authentication ticket even after logged out. This allows an attacker to continue using a stolen forms authentication token despite a user logging out to protect him or herself. Lastly, applications can combine both strategies and use forms authentication and sessions. In this arrangement, the forms authentication cookie is used for authentication and authorization decisions, and the session cookie is used to store additional state information. I’ve seen a 50/50 split between applications retrieving identity information from session variables versus the forms authentication ticket however. 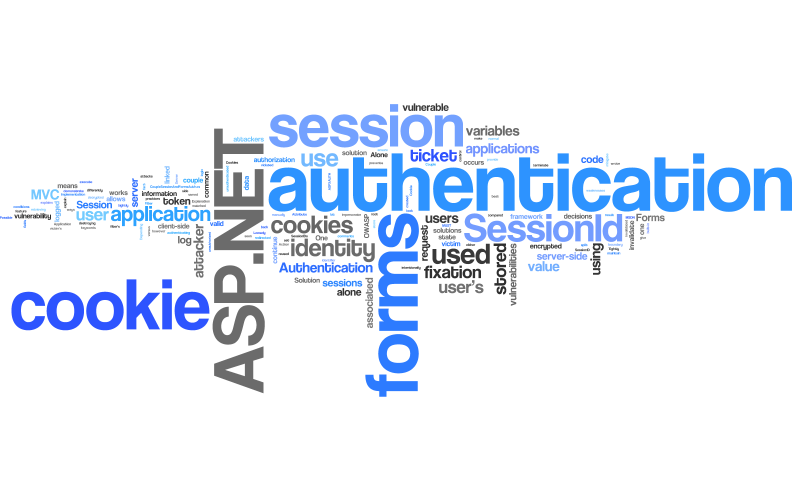 Either way, the ASP.NET framework does not explicitly couple a specific forms authentication cookie to an ASP.NET_SessionId. Any valid forms authentication cookie can be used with any other valid session cookie. Depending on the implementation, this results in a session fixation vulnerability (for the ASP.NET_SessionId cookie), the inability to terminate authenticated sessions on the server side (for the forms authentication cookie), or both vulnerabilities. There are a variety of potential solutions to mitigate these risks. One of those solutions is to use both the ASP.NET_SessionId cookie and a forms authentication cookie, AND to tightly couple them using the user’s identity as the link. In an application that uses forms authentication, this means that the identity of the user is stored in session variables (you have to do this manually) AND the forms authentication ticket (occurs through the normal use of forms authentication). Then, on each request to the application, the identity associated with each cookie should be compared. If they do not match, invalidate the user’s session and log them out. This solution prevents session fixation by ensuring that an ASP.NET_SessionId cookie (vulnerable to session fixation) MUST be coupled the user’s own forms authentication token (not vulnerable to session fixation) rather than just any individual’s forms authentication token. Additionally, it allows forms authentication tokens to be indirectly invalidated on the server-side by destroying the session that is associated with it. Since both cookies have to be present and linked by the user’s identity, each protects against the weaknesses of the other. I created an ASP.NET MVC 4 application to test this solution and to be able to demonstrate code for it. My goal was to create a global function that would execute for every controller and action to ensure the user identity referenced in session variables matched those stored by the forms authentication ticket. For unauthenticated users, the session should not reference a user identity at all. If either of these two conditions are violated, the user is logged out, their session is destroyed, and they are redirected back to the login page. I wrote CoupleSessionAndFormsAuth.cs, an MVC Action Filter Attribute, to accomplish the validation. The comments in the code explain the filter’s goals and how it works. Next, I added the filter to the global filters list, within Global.asax.cs, so it would be executed for every controller and action. Lastly, I added one line of code to the AccountController to ensure the user’s identity was added to session variables when the user logs in. In a previous post, I showed how the Burp Suite API can be used to view and modify WCF Binary SOAP messages to assist with manual testing and analysis. Next, I wanted to allow Burp to perform automated scans on WCF Binary SOAP requests. This post demonstrates use of the Scanner Insertion Point Provider to accomplish that goal. There are two roles that the plugin must fulfill. First, the plugin must identify potential insertion points for scanner payloads. Second, the plugin must accept attack payloads from Burp and construct valid requests containing them. Insertion points are identified by decoding the WCF Binary SOAP message (into an XML format) and iterating through the DOM to identify nodes that contain text. Each of these nodes is then sent back to Burp as a WCFBinaryInsertionPoint instance. Once Burp is ready to scan the URL, it passes attack payloads to each instance of WCFBinaryInsertionPoint it received. The original request is then decoded, the payload is inserted into the correct XML node, and the request is re-encoded and returned to Burp. I verified the solution by chaining two instances of Burp together and watching scanner traffic. In the second Burp instance, I could watch WCF Binary SOAP requests being sent to the server containing the attack payload in the correct XML node. I then ensured that the response did not contain an exception indicating that the server could not understand the message. One item I did not verify was whether or not Burp could successfully identify vulnerabilities in the responses since they are still in a WCF Binary SOAP format. My guess would be that any signatures that match error messages like “System.Data.SqlClient.SqlException: Unclosed quotation mark” would still succeed. Results could likely be improved by registering an HTTP Listener within burp that automatically decodes responses for the Scanner if they have a content type of “application/msbin1”. Previously, I mentioned that stack traces for run-time exceptions in Burp only referenced obfuscated class names. Before writing this plugin, I upgraded to the latest version (1.5.04 at the time) and noticed that this has changed. Stack traces are now very helpful and greatly reduce the amount of debugging time required. Many organizations measure how secure their applications and infrastructure are using assessments. They might use application security assessments, penetration tests, design reviews, threat models, or many other fault finding activities. These can be good risk indicators, and they are often important activities to include within an application security program, but they fall short in actually telling us whether our application is secure. They focus on finding problems, telling us when an asset is insecure, and remain silent about everything else. With the declaration of security requirements and secure architecture, configuration, and coding patterns (secure patterns), we now have a list of positive characteristics about the application that we would like to affirm. If we can validate these elements, then we can get a more comprehensive understand regarding how our application is secured. We can then focus on using assessments to identify missing security requirements and improve our overall process as a whole instead of a single application. Instead, we need to validate that we have satisfied the security requirements defined for a specific application. This simplifies and narrows our validation scope and approach, because the entire team should be using the predefined secure patterns to satisfy requirements. Each secure pattern should be linked to specific validation criteria (including test cases, desired results, and the reporting format). Before the development team ever implements a secure pattern, these criteria must already be defined. Validation steps can focus on testing code, application behavior, or both. The effectiveness of testing code versus application behavior will depend on the security requirement or secure pattern that is being tested. For example, if one were to verify the code/configuration of an application to determine whether it used SSL/TLS, they would fail to test whether the content delivery network (CDN) required SSL/TLS. In this case, testing the application behavior of each infrastructure element would be more effective than testing the code or configuration. On the other hand, validating that an application used only prepared statements would be more effective in code. The final series of slides at the end of the presentation demonstrates this further. Additionally, validation criteria can affirm controls are in place (positive testing) or find deviations from the defined secure pattern (negative testing). Positive testing should be the primary approach used for all validation criteria. Negative testing should simply be used to provide additional confidence in test results. Teams can define test cases within their validation criteria in a number of ways. A few examples are listed below. Each is demonstrated in the presentation slides. I recommend starting simply and then using more automation and sophistication as the need builds. If teams start out with manual test cases they can gradually acclimate to new requirements and the process as a whole. Eventually a large number of requirements will be defined and it will be too time consuming to manage and test all of them. Automation will be the natural next step. Teams can start out using a simple grep tool and selenium to complete most automated test cases. Custom scripting may follow. I don’t recommend starting with commercial automated security testing tools like a static code analyzers or dynamic application testing platform. Many times teams spend a lot of time and money to get it set up and are disappointed with the results. Before investing in one of these tools, it's important to have clear goals, realistic cost and personnel expectations, and a strategy for how the tool will fit in with a larger application security program. If the team is moving towards using a commercial security tool, consider starting with free tools first like FxCop for .NET applications and write your own custom rules. The key advantage to writing your own manual or automated test cases is that you can customize them for the application and its business context. This isn't something a commercial, general purpose security scanning/code review tool is designed to do. Once a team has a fairly comprehensive set of security requirements; is effective at implementing their security patterns; and desires to grow further, exploratory testing could become valuable. Exploratory testing should be used to identify vulnerabilities that do not yet have a security requirement already defined. This testing approach is used to improve the overall secure software development process, expand the list of requirements, and improve all the organization’s applications - not to focus on the faults of one single application. AND you have a specific well defined business goal you are trying to satisfy with these requirements, you can provide compelling evidence that your application is "secure enough" by the standards or goals you have set. 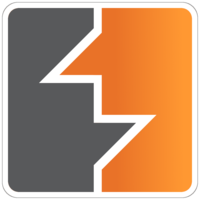 Burp Suite has a new extensibility API! In December, I wrote a plugin that uses the new API to speed up a security assessment of a Silverlight application using WCF web services. The code and explanation below helps demonstrate some of the new features in Burp. The Silverlight application interface communicated with a SOAP based web service; however, the web service responses weren’t ordinary XML. Instead, they contained a Base 64 encoded value. After digging into the application, we discovered that the web services zipped and then Base 64 encoded XML response data. Initially, I wrote a python script to decode and unzip the data; however, it was time consuming to copy, paste, and unzip each response over and over again. My solution was to use the new API to add an Editor Tab to Burp. This editor tab automatically detects whether the HTTP response needed to be processed and then unzipped the value right in the proxy tool. 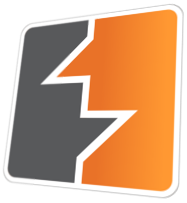 The plugin source code and several screenshots are available below. The code may not be the most elegant solution, but it met my needs for being fast to develop and functional. As I wrote the plugin, I noticed that Burp provides a useful stack trace if an exception occurs while loading the plugin; however, once the plugin is fully loaded, stack traces only show obfuscated class names for Burp. You can work around this challenge by mocking up any data needed, writing all code that doesn’t rely on the Burp API separately, and then run it with the Jython interpreter. When integrating it as a plugin, my approach was to use a lot of println statements. I had a general idea of how to use the framework, but I still needed to work out the details.